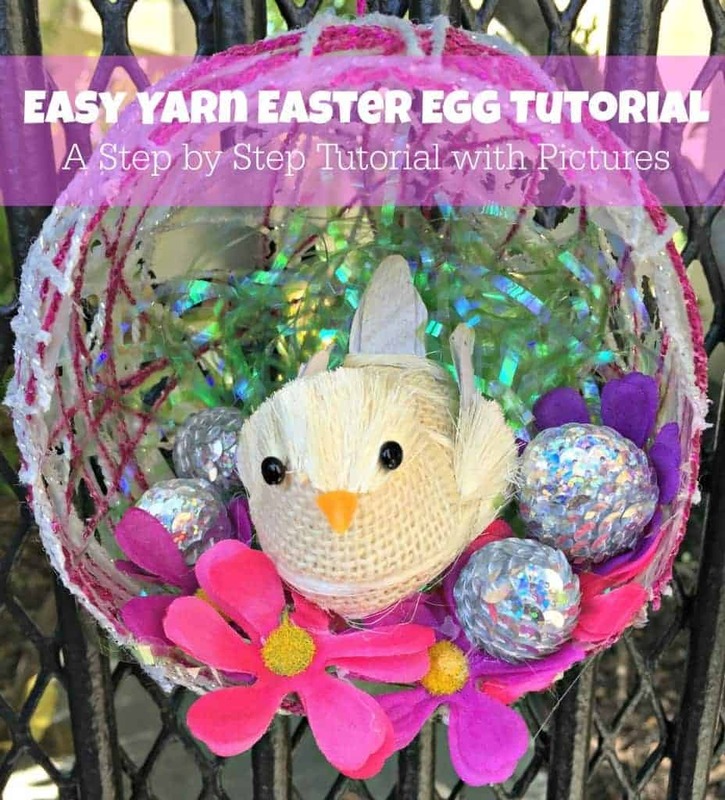 Yesterday my daughter and I made these very easy Yarn Easter Eggs. 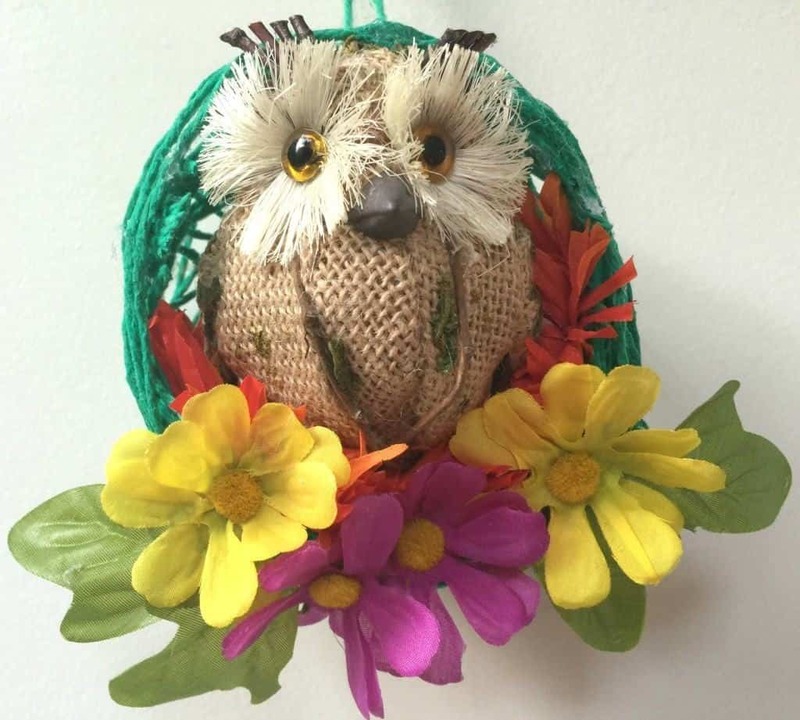 We had previously done this craft with my mom’s group when my kids were younger. So I thought this Easter I would bring it back out again. Yarn Easter Eggs also make great hostess gifts or presents for extended family members like Grandma or Auntie Jill. 1. Gather your supplies. 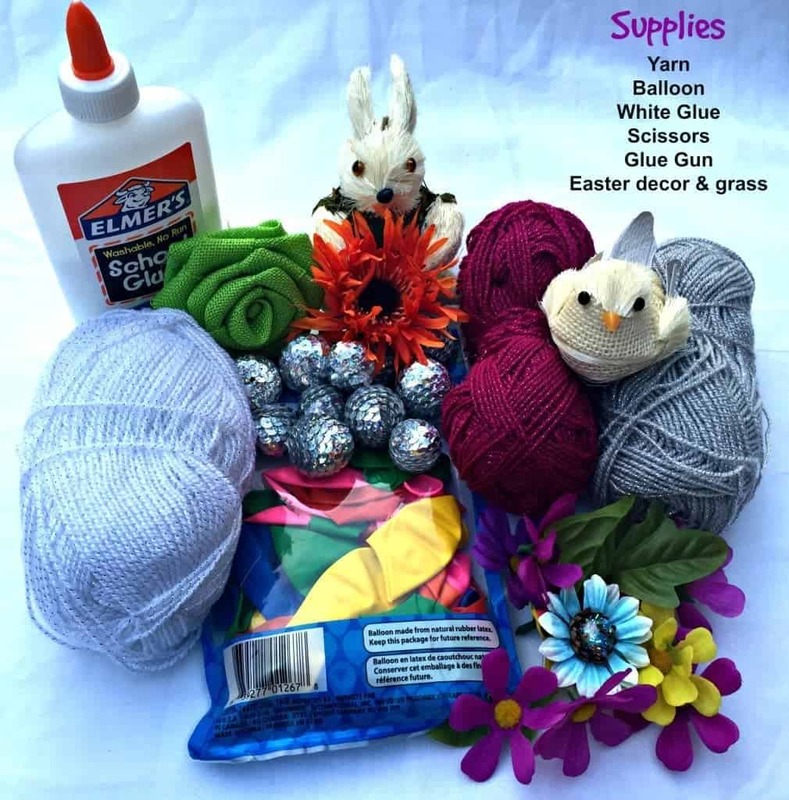 For this craft you will need yarn, a balloon, white glue, scissors, a glue gun, a variety of Easter decorations and Easter grass. 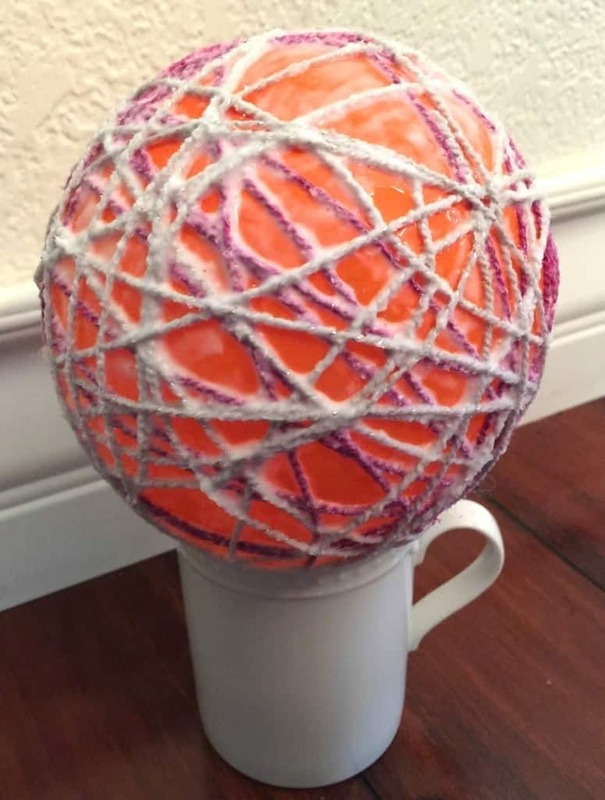 The possibilities are endless as to how you want to decorate your unique egg! 2. 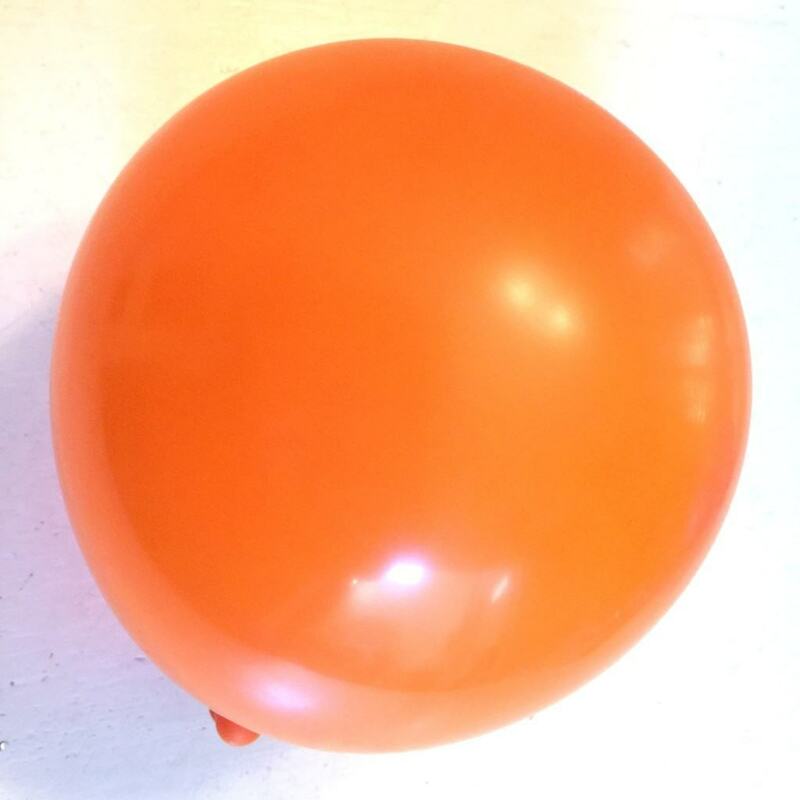 Blow up a balloon about the size of a small water balloon. Do not blow it up too big or it will pop. 3. 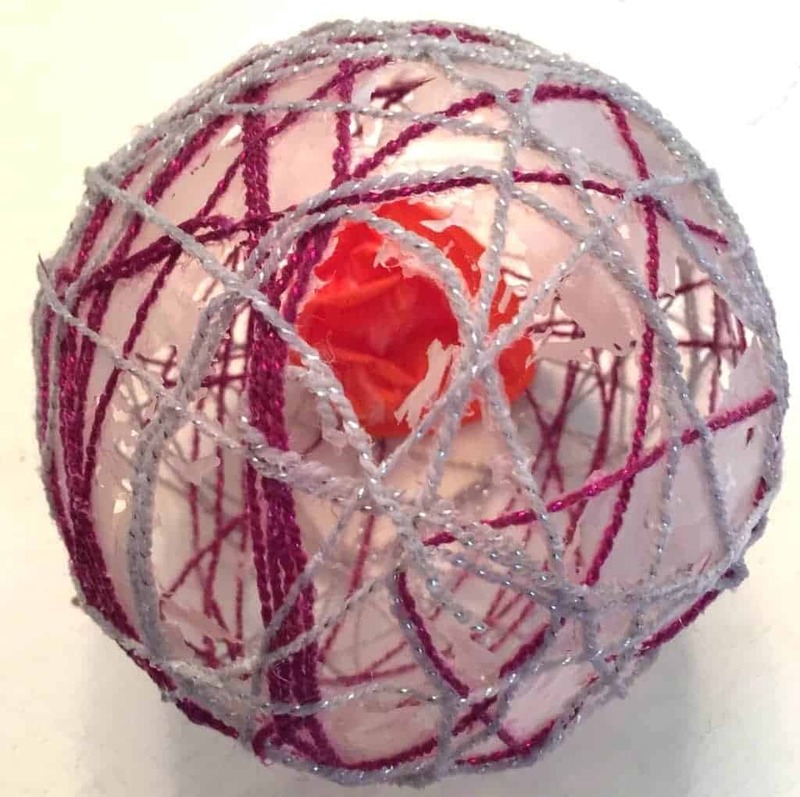 Cut approximately 5 feet of yarn of any color of your choosing. 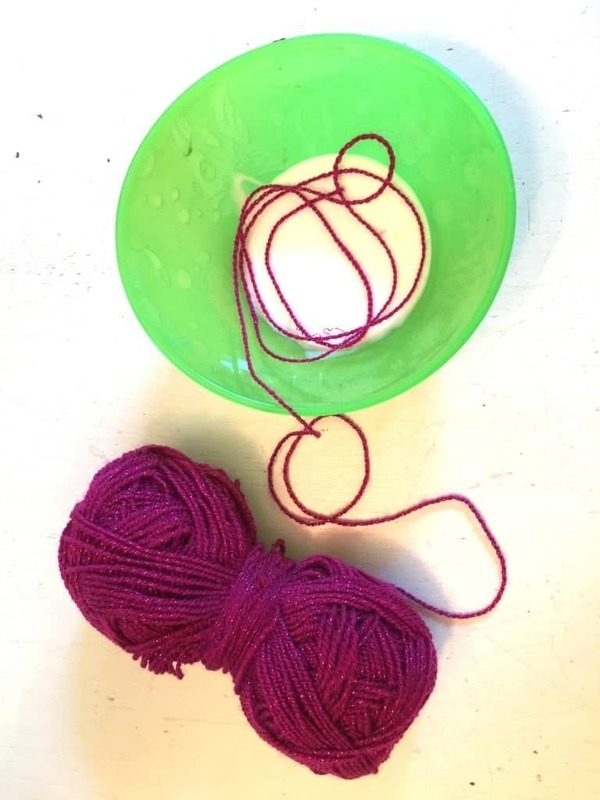 Thin yarn works best. Next drench the yarn in white glue. Sometimes I will also add a few drops of water to thin out the the glue a bit if needed. 4. 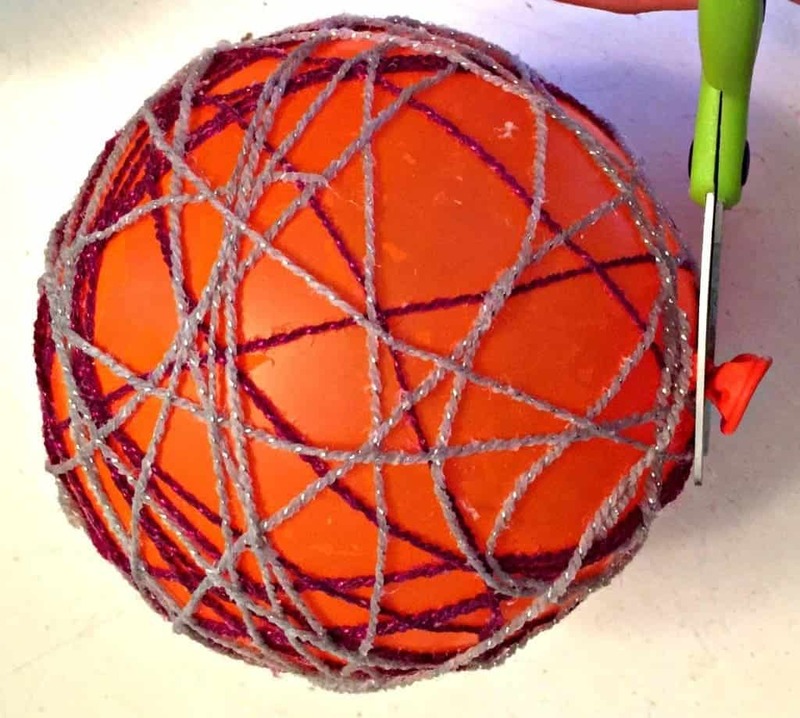 Begin to wrap the yarn around the balloon. 5. Next wrap a second layer of yarn around the balloon. In fact, you can add as many layers of yarn as you want. I prefer to add 2 to 3. 6. 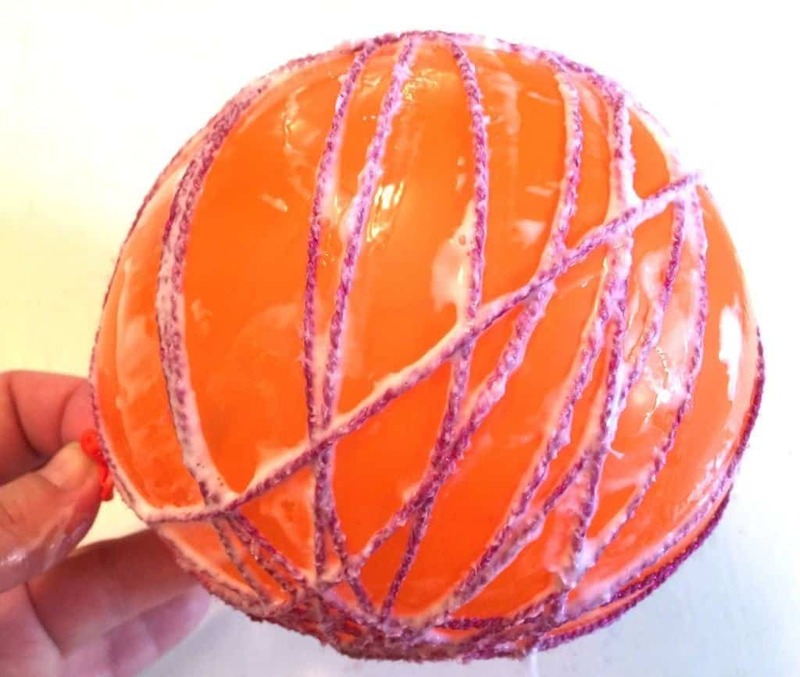 Allow the balloon to dry in a cup for approximately 24 hours. Just want to make sure that the string is completely dry before moving on to step #7. 7. 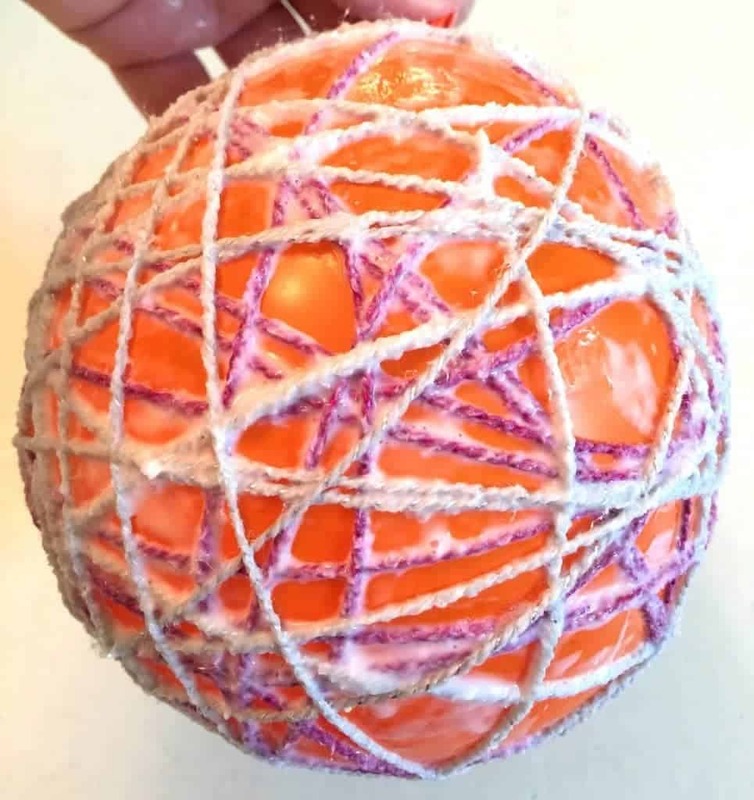 Cut the tip of the balloon with the scissors and allow it to shrink and pull away from the string slowly. Next pull the balloon out of your newly formed Easter egg. 8. Cut a hole out in front of the Easter egg. 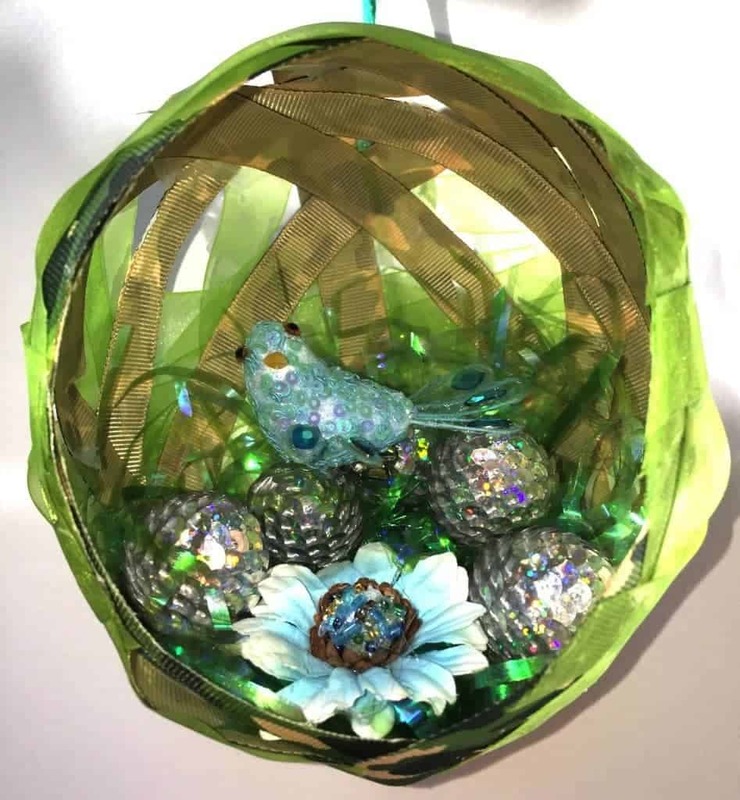 Make sure it is large enough to accommodate all of the Easter decorations that you want to put inside. 9. 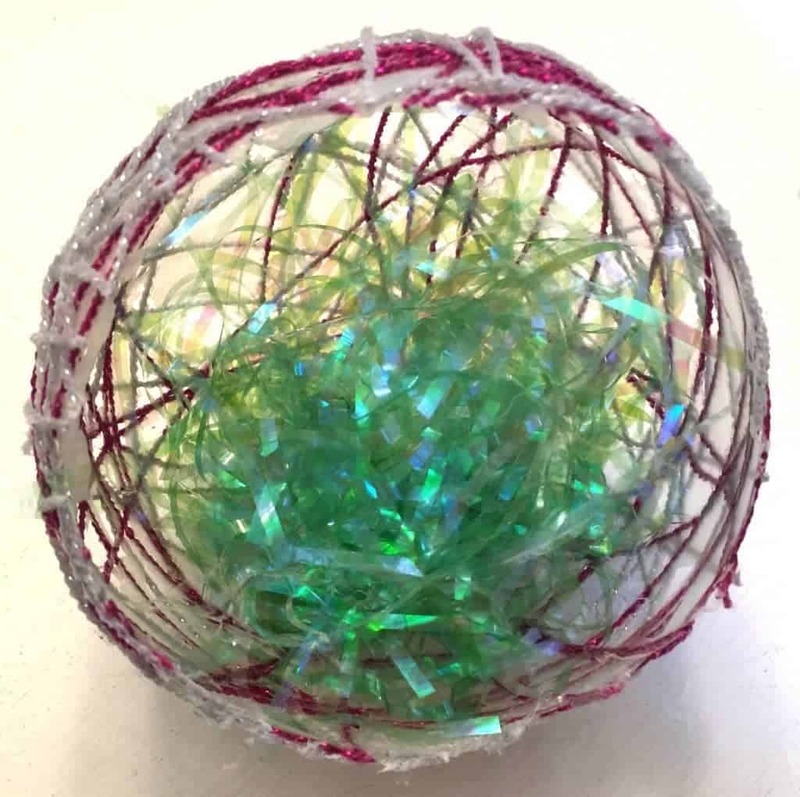 Use the hot glue gun to glue grass into the bottom of the Easter egg. 10. 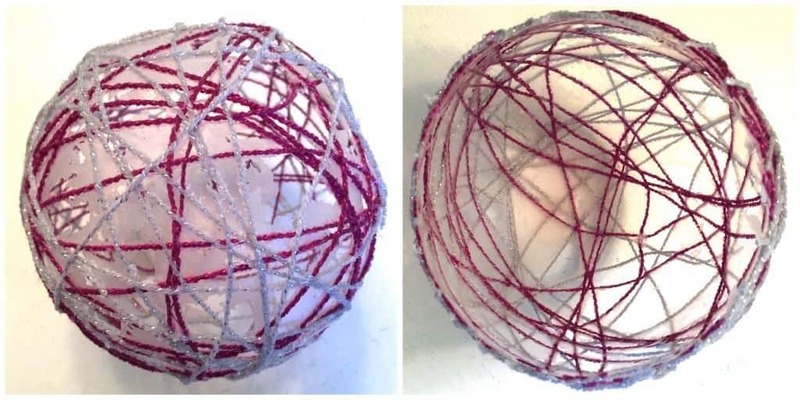 Finally, hot glue any Easter decorations that you want inside the Easter egg. I randomly made three different Easter egg scenes using supplies I already had at home. 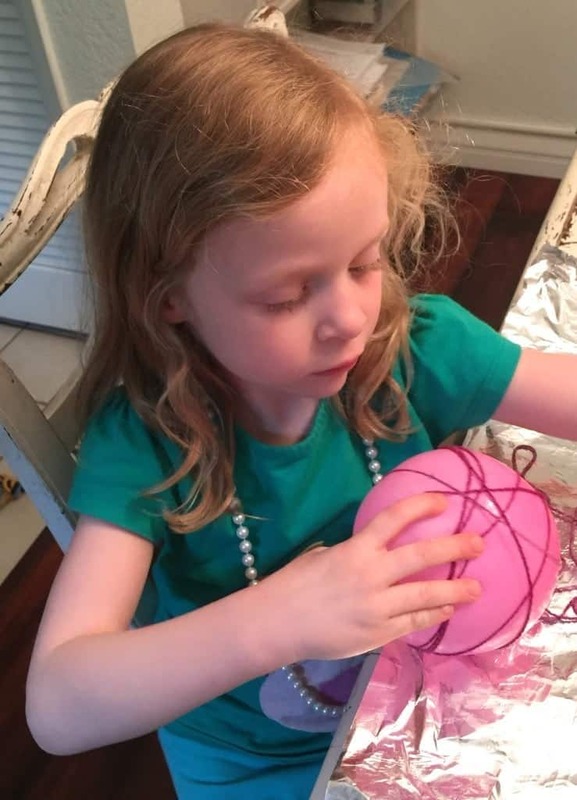 What is your favorite Easter craft for kids? 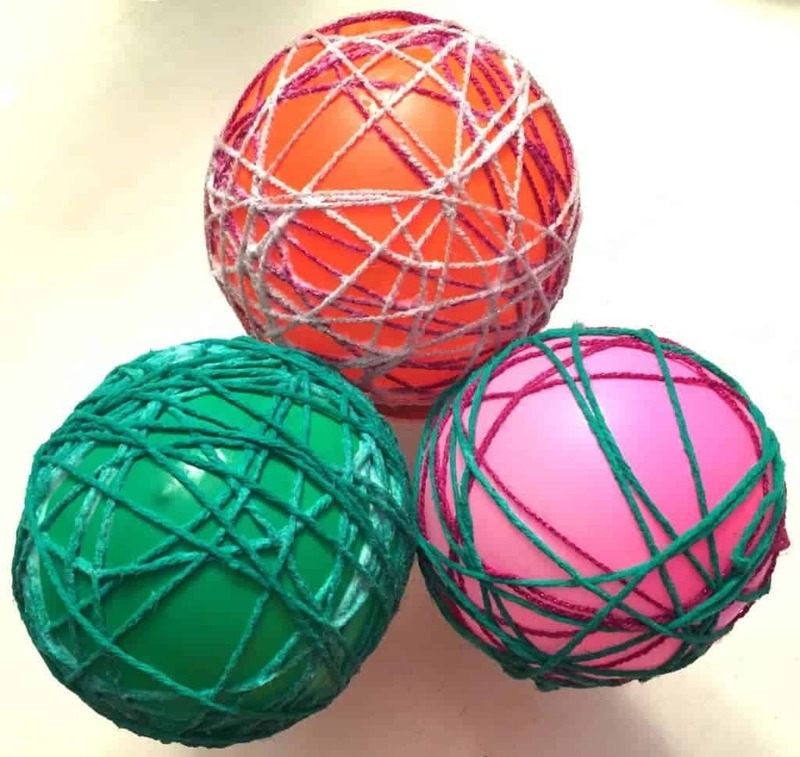 Check out our new Easter Activities & Crafts Pinterest Board for some inspiration too!